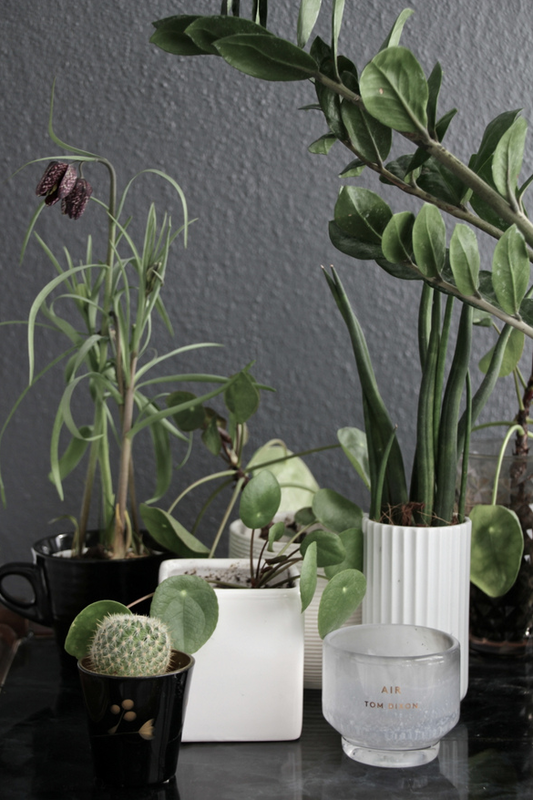 Have you ever considered how sustainable and eco friendly your bedroom is? I have to admit that I haven’t given it that much thought in the past, but lately I have. All in all our bedroom (bed, actually) has been neglected for years and we really needed to upgrade. As we spend A LOT of hours in our beds during a lifetime, a bed is an important investment and should be considered carefully. Sleep comfort is off course the most important thing, but issues like temperature adjustment, design and a “healthy” bed in terms of sustainability, very soon came up as important for us when choosing the perfect bed. 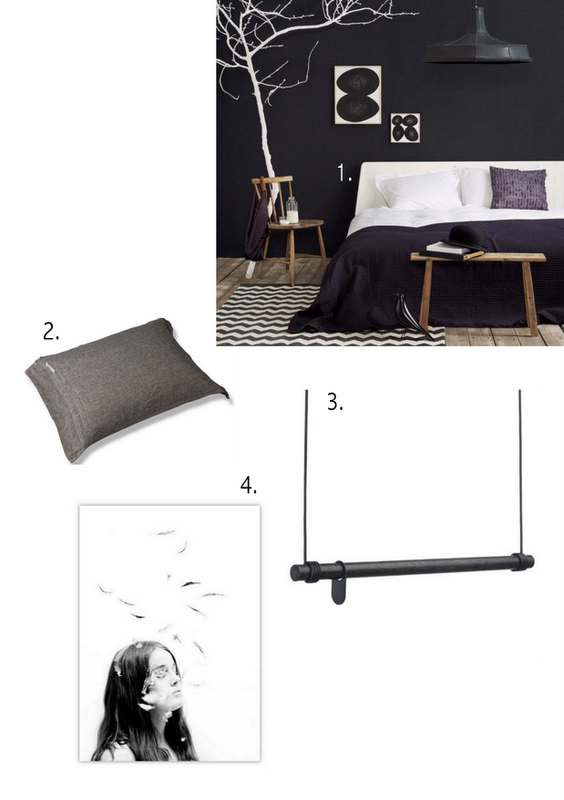 Today, I will just quickly show you some of my inspiration and my wish list for our bedroom right now. 1. Our dream bed, Auping Essential. 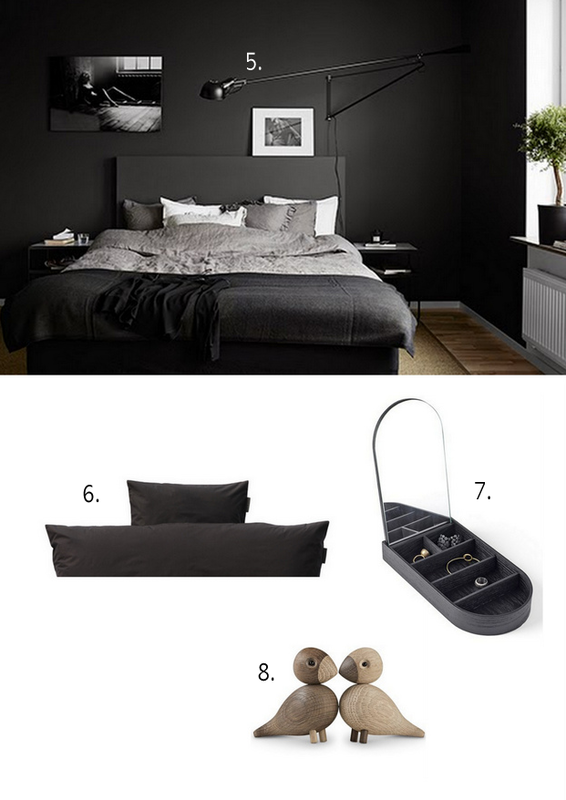 We have chosen the dark grey version and not the white one in this picture 😉 I am deeply impressed by Auping’s sustainable quality and we have no doubt that we made the right choice of bed. A bed we will enjoy for many years to come! 2. Pillow case in soft washed linen from Dirty Linen*. 3. 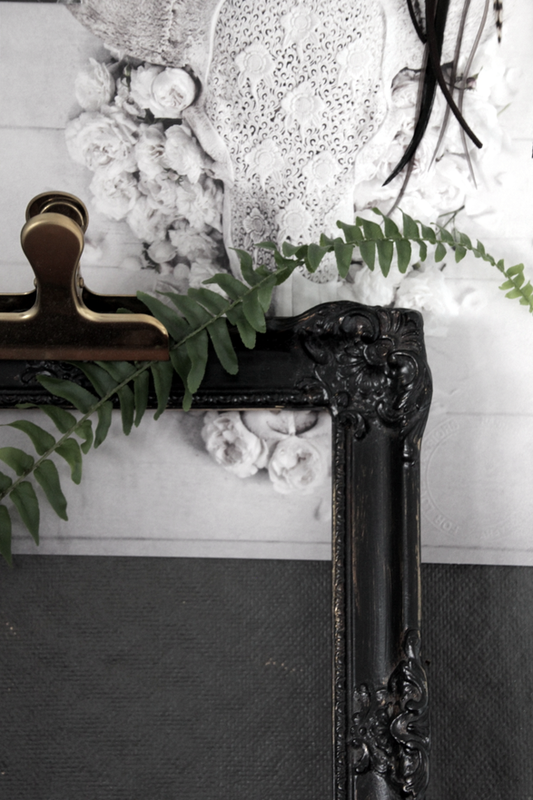 I would love to have this hanger from Lind DNA* in our bedroom. 4. There is something very “dreamy” about this picture from Diana Lovring – perfect for the bedroom! 5. I just love this bedroom and are thinking that the 265 lamp from FLOS* also will fit perfectly in our bedroom – looks good, right? 6. The finest GOTS certified bed linen from The Organic Company*. 7. I need a place for my jewelry and are thinking the jewelry box from Menu* could do the job. 8. Kay Bojesens “Love Birds” are also welcomed visitors in my bedroom.